Below we present news, activities and other information from the divisions and researchers at the Department of Information Technology. Wang Yi has been named the awardee for the IEEE TCRTS Outstanding Technical Achievement and Leadership Award. IEEE TCRTS Outstanding Technical Achievement and Leadership Award is given to recognize individuals for their outstanding technical achievement and leadership. This is an annual award presented to the recipient at the IEEE Real-Time Systems Symposium. The selection was made by the committee composed of past awardees (led by Professor Tarek Abdelzaher this year). Congratulations to Wang Yi, who was awarded with ERC Advanced Grants 2018! Joachim Parrow has received the STS prize in 2018. The motivation is that he as a programming teacher on the STS program, for several years put his soul into what has become one of STS's most appreciated courses. This year’s Uppsala Student of the Year, Emma Tysk, is studying on the Master Programme in Computer and Information Engineering, and also runs her own graphic-design company. She is a fervent advocate of gender equality in the IT sector. Mats Daniels named Distiguished Member by ACM! ACM, the Association for Computing Machinery, has named 49 Distinguished Members for outstanding contributions to the field. The 2018 Distinguished Members are exemplars for their peers, and represent ACM’s worldwide geographic reach, as well as the exciting range of subdisciplines that constitute today’s technology landscape. 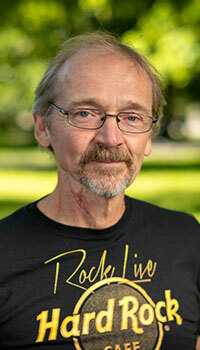 Mats Daniels was namned Distiguished Member "For Outstanding Scientific Contributions to Computing". - It's honoring to get this award! says Mats Daniels, who is currently also being installed as a professor at Uppsala University. - Perhaps not least because it is "For Outstanding Scientific Contributions to Computing" and not "For Outstanding Educational Contributions to Computing" because I consider it a recognition that research on computer science didactics is counted as computer science. The research group Mats belongs to, Uppsala Computer Education Research Group - UpCERG, has three of 45 professors (Åsa Cajander, Mats Daniels and Arnold Pears), who will be installed at Uppsala University on November 16th. - 2018 has been a good year for UpCERG, says Mats Daniels. The EU projects COMnPLAY started this summer and we were also awarded EASTEM (Euro-Asia collaboration for enhancing STEM Education)! 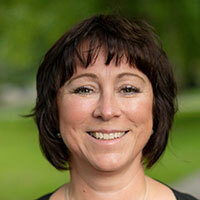 The Swedish Research Council approved eight applications at IT! The Linnaeus Centre UPMARC (Uppsala Programming for Multicore Architectures Research Center), which has been supported by VR (The Swedish Science Council) since 10 years, organizes this one-day workshop on the Past, Present and Future of Parallel Programming. The workshop features presentations of selected efforts, achievements, and challenges addressed by the UPMARC centre. Presentations will focus on key issues, which are complemented by posters on particular projects. The workshop is open to anyone with an interest in parallel programming, and there will be time for questions and discussions. The event will take place at Campus Polacksbacken in the conference room Polhemsalen. The one day workshop is sponsored by the UPMARC research programme of Uppsala University (see upmarc.se). In particular, attendance of the workshop is free. In addition, the school will include a poster session where also participants will be given the opportunity to present their own research. We strongly encourage people interested in participating to register as soon as possible. Deadline for registration is October 31st! "All students at Teknat have been invited to nominate their teachers, and the students chose to highlight Jans commitment, flexibility, responsiveness, and his development of the course "Database Technology I," where he worked with a web forum for questions, online quizzes and reality-based tasks." "Björn Victor is an engaged and didactic teacher who inspires colleagues and creates a common ground between students and teachers. With an extensive pedagogical experience and responsiveness, he develops courses with student-centered learning. As an educational leader, Björn works to constantly renew teaching and provide support and advice in everything from the development of new educational programs to educational training for colleagues." Three New Excellent Teachers at the Department! Congratulations to Åsa Cajander, Tobias Wrigstad, and David Black-Schaffer, who all were appointed Excellent Teachers on the 18th of May, 2018, by the university commission for Excellent Teachers. - Read more about our excellent teachers here. Congratulations to Stefanos Kaxiras, who has been inducted in the ISCA Hall of Fame! To be included in this informal “Hall of Fame” for the International Symposium on Computer Architecture is considered a great achievement In the computer architecture community. Stanford, the University of Illinois, the University of Michigan, the University of Washington, and the University of Wisconsin each have 5 members. Microsoft Research has 4. The University of Texas has 3. HP Labs, UC Berkeley, UCSB, and the University of Colorado each have 2. CMU, MIT, and a dozen other institutions each have one. Now, Uppsala is represented on the list. Michael Thuné, Head of Department and Professor of Scientific Computing at the Department of Information Technology, was awarded the 2017 Equal Opportunity Award from Uppsala University. 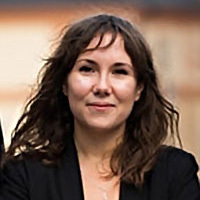 In addition, Emma Tysk, a student with the Masters Programme in Computer and Information Engineering, was appointed Microsoft's IT-Girl for 2018. - Read an interview with them both here . Congratulations to Thiemo Voigt, who has been honoured by Google for his work in "Visible Light Communication and Backscatter-based Sensing for Implicit Interaction with loT." As part of Google’s growing efforts to support excellent research in academia, Tiemo will receive just over 30 000 dollars as part of this "2018 Faculty Research Award." 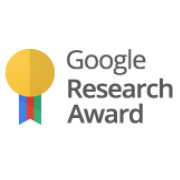 - Read more about Google's Faculty Research Award here. Updated 2019-01-29 09:07:38 by Kajsa Örjavik.